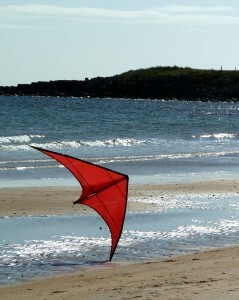 For the best part of two years now I have been playing with a new dual line kite. The concept is simple: create a kite that has great precision and a good range of tricks that are as accessible to new pilots as experienced trick fliers. Simple right? Then why after so long am I still testing prototypes? Over a few posts I hope to be able to answer that question and share some of the highs and lows of designing a new kite. It’s a hugely irritating, time consuming yet rewarding process and it really makes you appreciate the skills of people like Tim Benson, Chris Goff or Bell Chiu. At this stage I should say that I have a lot of experience team flying dual line kites and have high expectations of any precision kite but as for trick flying I am still very much a beginner. 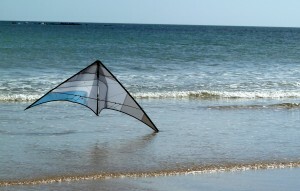 So in order to develop a half way decent trick kite, I have had to learn how to fly half way decent tricks. Fortunately I have had an excellent coach in the guise of Gee Thomas from The Flying Squad. Of course, the odd bit of feedback from Mr Goff and Steff Ferme didn’t hurt either! Would it have been easier to buy a L’Atelier? Would it have been cheaper to buy a Benson? Could I have learned on a Talon? Well of course the answer to theses questions is yes, but this is more about the journey than the destination. So, next post I will start at the beginning if I can remember that far back!